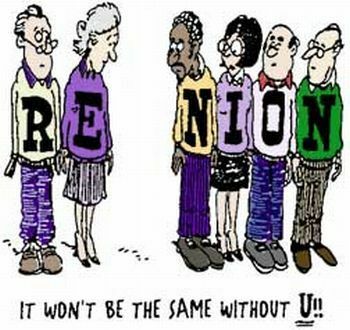 Classes of 1957 and 1958 Reunion this September! Catered Dinner, no host bar and Disco Music. A Silent Auction featuring a Bo Horvat signed Jersey from the Canuck’s Hockey Club. Game tickets from the BC Lions and Van. Whitecaps. A food hamper and gift certificate from Bosa Foods. A 50/50 Draw and much more !! All proceeds to go towards the new Notre Dame Football Field. Pub Night and Golf Tournament coming up soon! Our Annual Pub Night “Dirt 2 Turf” is only two weeks away on Friday, April 28th at 6:30pm. Come and enjoy music, raffles, great food and great company! Please purchase tickets from the school office for only $25, which includes a burger and beverage. Feel free to bring friends and help support our much anticipated Sport Field! The Golf Tournament is on Friday, May 12th. Although spots are filling up quickly, we have some 4somes still available! Registration can be done online here. The March 2017 Newsletter is available for download here (PDF). Upcoming and past reunions and more! The famous ND Alumni Trivia Night is being held at the school. The schedule and plans for the Juggler field are complete, and the school is aiming to complete the project for spring training, and certainly before the end of this current school year! Notre Dame gives thanks to our entire community including alumni, current and past parents, students, and staff. The school also recognizes an invaluable member of our Juggler community: Mr. William P.J. McCarthy – the loyal builder of our school and Project Manager of the Notre Dame Building Committee. Notre Dame Regional Secondary offers sincere and heartfelt gratitude to Mr. McCarthy’s generosity, hard work, commitment and dedication towards the completion of our school campus. For the full press release see Field Press Release (PDF). 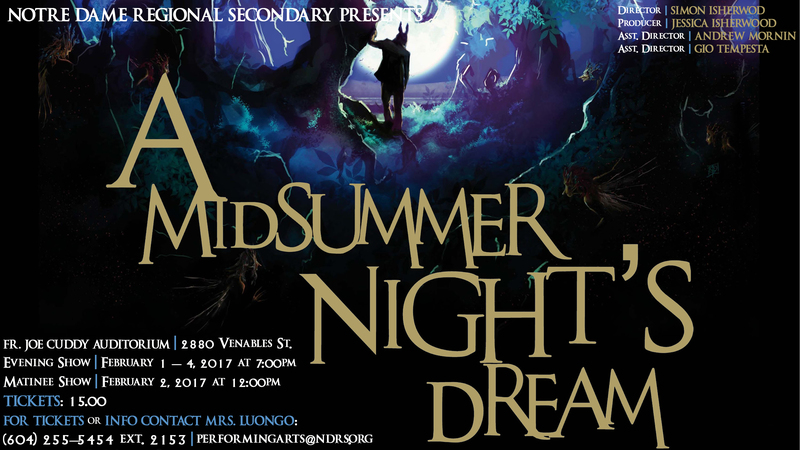 Please contact cluongo@ndrs.org to purchse tickets. $15 each. Finally, the November 2016 Newsletter is available for download here (PDF). Check out the June 2016 Newsletter (PDF) ! Highlights include the Archbishop’s blessing of the St. Elizabeth Anne Seton School Chapel, past and upcoming reunions and other events. 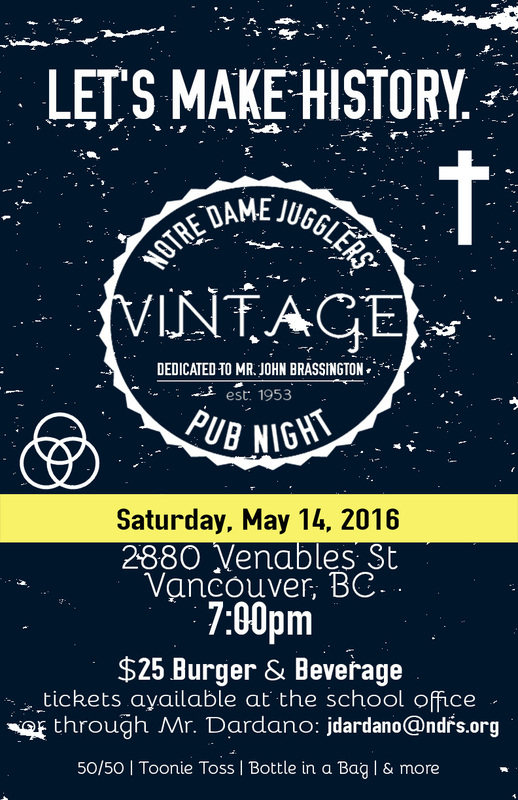 Please note that Notre Dame has rescheduled the VINTAGE Pub Night and dedicated it to John Brassington. The new date is May 14th. It is with deep sadness that we announce the passing of Mr. John Brassington, at the young age of 65. Mr. Brassington was suddenly and tragically killed in a motor vehicle accident while driving on Highway 97 near Clinton, BC on Thursday, April 21. Mr. Brassington epitomized what it means to be a true Juggler; he was dedicated, loyal, and committed to our school community for over fifty years, as a student (Class of ’69), an alumnus, and as a teacher (1979-2016). Some of his important roles at Notre Dame included: co-athletic director, coaching football, basketball (boys and girls), and track and field, and serving every team and club within the school as a faithful bus driver. He was an esteemed colleague, friend, and mentor for staff and students alike. Mr. Brassington is survived by his wife, our very own Mrs. Eileen Brassington, and by his three children: CJ (Class of 2007), William (Class of 2009), and Samantha (Class of 2012). When someone we love is in heaven, we have a little bit of heaven in our home.